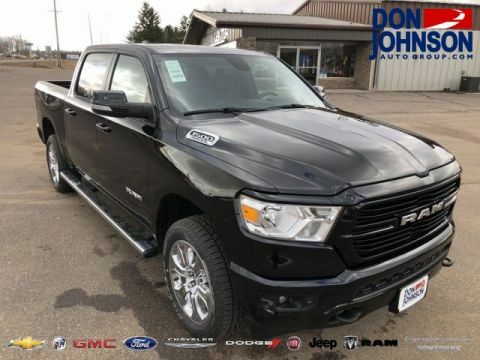 A click of your key fob engages your vehicle’s theft deterrent system to protect the entire vehicle, including the available RamBox Cargo Management System. 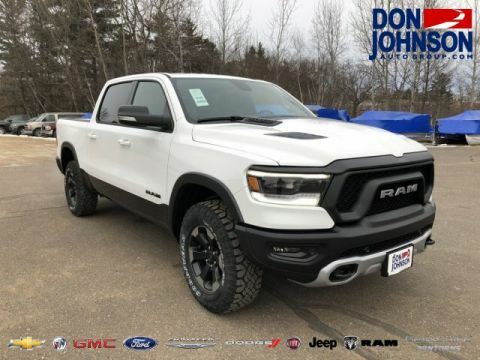 The thoroughly revised Ram 1500 body now utilizes 98% high-strength steel to increase stiffness and durability for exceptional capability. Make up to 305 hp and 269 lb-ft of torque with the 3.6L V6 or 395 hp and 410 lb-ft of torque with the 5.7L V8. 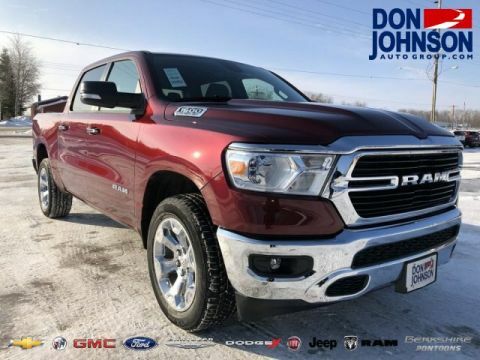 Enjoy up to a best-in-class 12,750 pounds of maximum towing or pile the bed heavy with a maximum 2,300 pounds of payload. 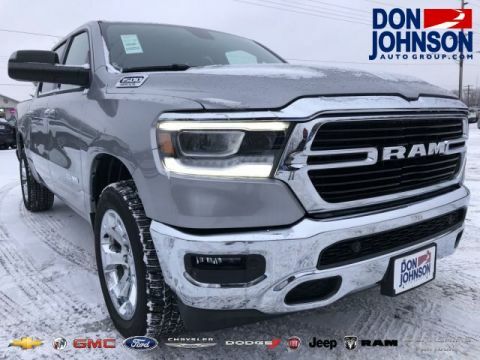 It isn’t simply raw power that informs the Ram 1500’s phenomenal performance. From the brakes to the hood, every part and every angle has been optimized to produce an incredible ride. Improved Aerodynamics: An elevated hood improves air deflection and the new sculpted roof directs air to the rear spoiler. Such changes have helped it achieve a .357 drag coefficient and the lowest frontal drag coefficient in the class. 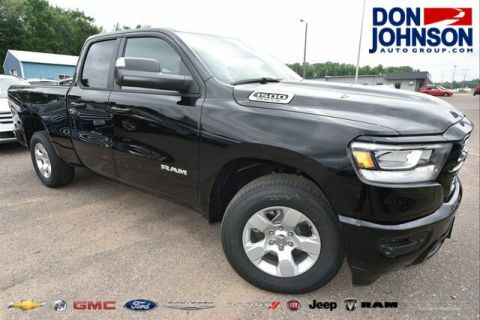 Active Air Dam: A class-exclusive air dam extends downwards to reduce drag as your truck approaches 30 miles per hour. 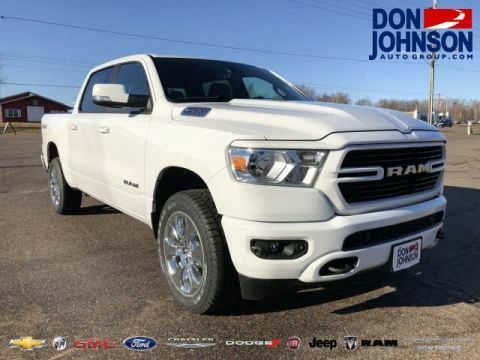 Class-Exclusive Air Suspension System: Your Ram 1500 will be automatically lowered at highway speeds to reduce drag and improve efficiency. 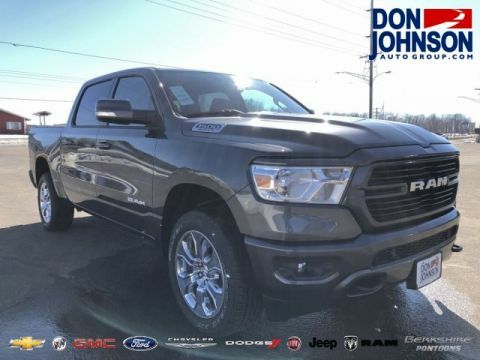 TorqueFlite Eight-Speed Automatic Transmission: Next-generation technology handles shift changes and points for supreme performance and drivability. 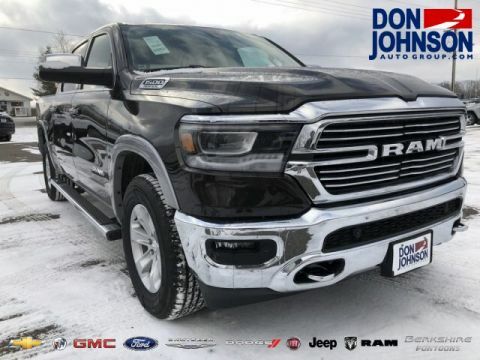 Largest in Class Brakes: The all-new Ram 1500 is fitted with 14.9-inch brakes to ensure a tighter stop over shorter distances. 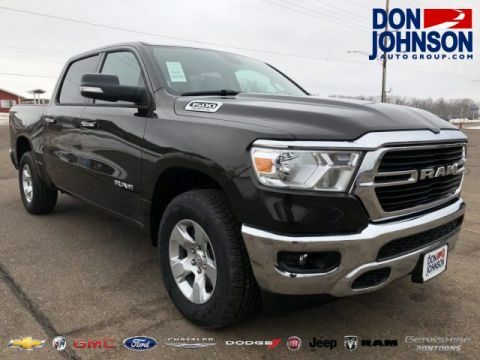 It’s impossible to consider the latest half-ton trucks without leaning towards the 2019 Ram 1500, and you can find your new RAM truck today at Don Johnson Motors. Contact us to learn more. 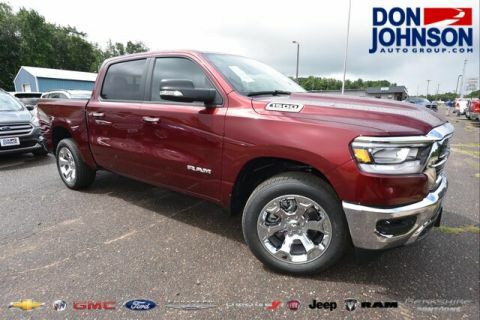 Feel free to apply for financing online, or compare the 2019 RAM 1500 vs. 2019 Chevy Silverado 1500.